Why have dermal filler treatment for your Temple Area at Therapy House? A loss of volume in the temple area can add shadows and hollows that age your upper face. Many people don’t realise that it is not only possible to have the temple area treated with dermal fillers, but that it is also a very effective way to give your face a more youthful appearance. By using dermal fillers to add definition and volume to your temple area, we can help to highlight your eyes and banish those unwanted shadows. Healthy young skin contains collagen that gives it volume, flexibility and strength. As part of the natural ageing process, your own natural collagen breaks down and this loss in volume can result in wrinkles, facial lines, sagging skin and shadows that make you look less youthful. We can use dermal fillers to add volume and definition to your temple area and better frame your eyes. How can dermal fillers be used in the temple area? We use dermal fillers to replace lost volume and create youthful definition to your temple area, which may currently look flat or hollow. We have adopted the use of MD CodesTM, which are a series of formulated injection points for dermal fillers proven to elevate, rejuvenate and enhance, as well as delivering natural results. Read more about MD CodesTM. What happens during the temple area treatment? During your initial consultation, we will spend some time talking to you and analysing your appearance – particularly looking at your temple area. We will photograph you face-on and in profile, and answer any questions you have. We will ask you to come in to the clinic 30 minutes before your treatment appointment, so that we can apply a topical anaesthetic to numb your temple area and make the procedure as comfortable as possible. 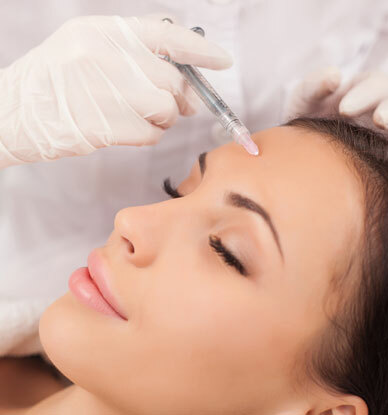 During the treatment itself, we will inject small amounts of dermal fillers into precise locations on your temples. You will be fully awake during the procedure, which we’ll carry out in front of a mirror so that you can give us your feedback throughout the treatment. You will see the results of your treatment immediately. There may be some initially swelling and bruising, but this usually goes down without intervention within a few hours. Most people find that the effects of a dermal filler-based treatment can be seen for up to a year. We can create a plan for regular follow-up treatments to maintain the initial result or, because dermal fillers are temporary, you have the option of refining your treatment over time. Most people don’t need to take time out to recover but you may need to arrange some down time if you experience bruising or redness in the temple area. Want to know more about Temple Area Treatments?